Raised Platform Storage. Mezzanine measures approximately 40 metres x 20 metres 2700mm clear underneath – Heavy duty warehouse mezzanine flooring. 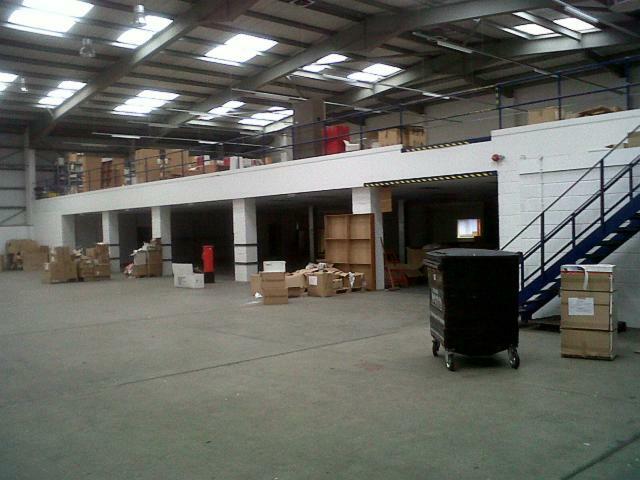 Used Mezzanine In Heathrow, London Area suitable for warehousing materials, or products. A mezzanine is a raised up platform built using structured steel sections, which are prefabricated into usable kits. This allows an easy installation of the mezzanine with little disruption to existing warehouse storage platforms. 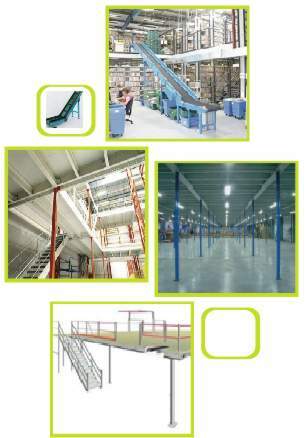 A mezzanine make best use of space available in warehouses & provide cost saving storage solutions, using complete available storage areas that are often free space. A mezzanine can be used for: Extra office space; production facilities; records storage; archive storage, or used as general warehousing space. In addition to second hand mezzanines, JJ Storage Systems, Ltd., provide cost saving brand new mezzanine storage space solutions to business, & warehouses throughout the UK. New mezzanine floors are designed and built to meet the needs of your business, giving you a raised storage area where optimal use of space ensures your business can grow. – We will be in touch. Thanks for the information.